There won't be much of a Dystopian August this year because I am traveling and in the edit cave at the same time, but I do have a few reviews and features for you, starting with CODA. CODA is a very cool novel. Exhibit A: Anthem. Anthem is a rocker who can pull off guyliner, who takes care of his younger twin brother and sister, who is extremely loyal to friends and (maybe) girlfriend Haven, and who is about to give a shock to the system of keeping the populace drugged out on music. Exhibit B: The writing. Trevanyne knows music, and she knows how to convey that feeling you get when you're lost in the beat and nothing else matters. The music scenes were some of my favorite in the novel. Exhibit C: The twists. 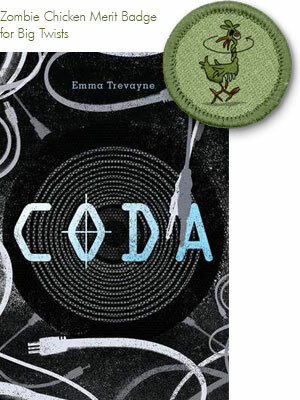 CODA gets a twists badge because it surprised me multiple times despite the plot being of the typical rebellion against the dystopian government variety. FTC disclosure: I got a signed copy at ALA. I've been looking forward to reading your review ever since you told me this novel was cool. Now I really wanna read it for the twists! I really need to finish reading this book. I need more time in the day! 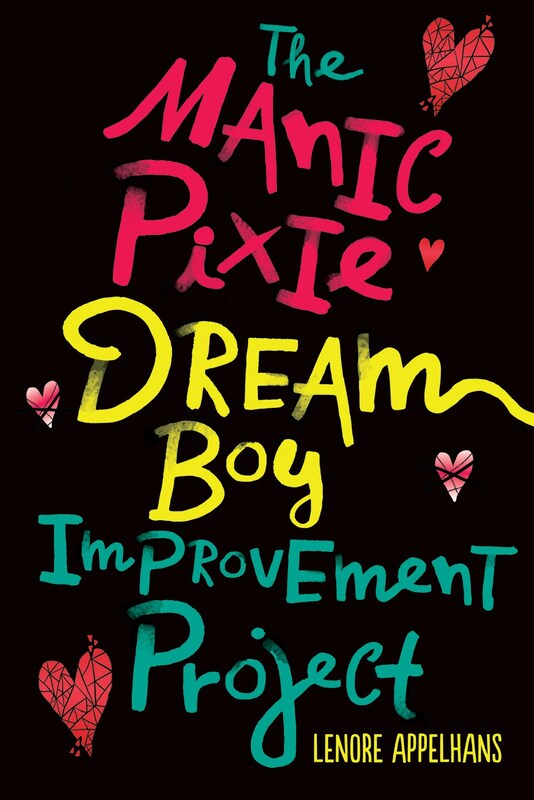 This sounds like such a quick, fun read!